David Goffin is a well-known Belgian tennis player. This 26 years old young player has already defeated his competitors like Dominic Thiem, Stan Wawrinka, John Isner, etc who had acclaimed higher ranks in the world. He came in limelight when he played against the king of tennis, Roger Federer, in French Open 2012. 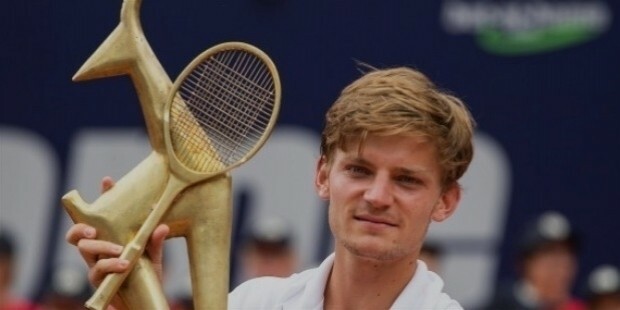 Though David Goffin lost to Federer, it was considered a great achievement. Until the present, he is the No. 1 tennis player in Belgium. 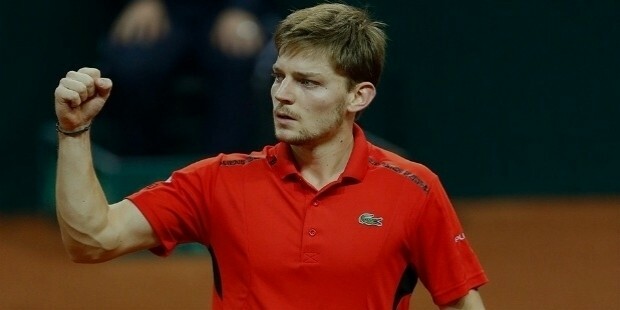 David Goffin was born on 7 December 1990 in Rocourt, Belgium to Michel and Francoise. His father is a tennis coach at the Barchon Club in Liege. 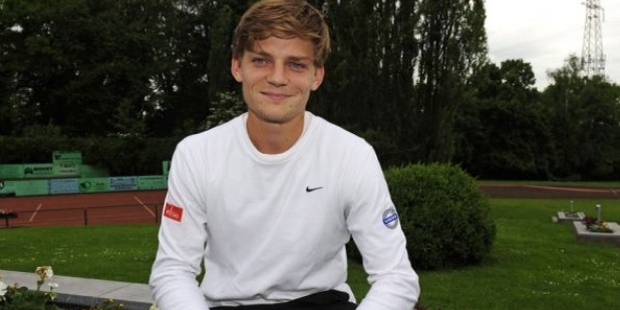 Goffin started playing tennis with his father from the age of six and displayed exceptional talent. His father then started mentoring him and became his first coach. Goffin idolized Roger Federer since his childhood who he would play against in the coming years. He did not play many tournaments while he was junior. As a junior, David Goffin played only two slams; French Open and Wimbledon. He reached a rank of 10 while playing in the junior category. He played his first ATP in 2011 in Chennai Open and won his first match in ATP tour by defeating Somdev Devvarman. He, however, lost in the second round. He now started focusing on winning ATP titles. David Goffin got his first ever breakthrough in 2012. For the first time, he reached quarterfinals at Chennai Open in ATP World Tour tournament. At French Open in 2012, David got lucky and despite not qualifying, he got an entry after the withdrawal of Gael Monfils. After this lucky entry, he won all the three rounds but lost to Roger Federer in the fourth round. Nonetheless, it brought him the needed breakthrough as he managed to win the first set. The same year he went on to win two matches in singles which placed Belgium in the Davis Cup World Group for 2013. In 2013, Goffin played Brisbane International, French Open, and US Open but couldn’t come out victorious. In fact, after losing to Alexandr Dolgopolov in the first round in US Open, Goffin did not play any further tournament in the year. 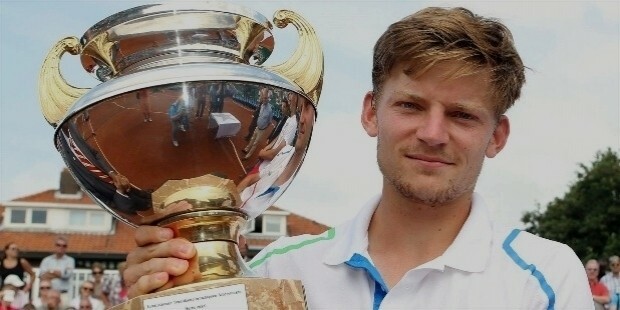 In 2014, Goffin won three Challengers tournament and the fourth win was his first ever ATP tour title. During the ATP tour, Goffin made a sweeping victory in altogether 20 matches. In September of the same year, he won another ATP title and with this, he moved into world’s top 40 for the first time. In Swiss Indoors in Basel, he won all matches only to lose to Roger Federer again in the finals. However, these wins placed him at 22nd position in the world. 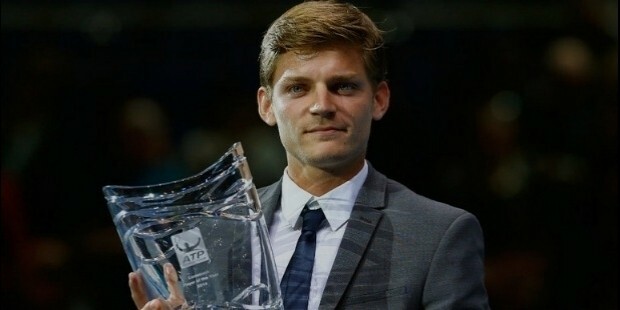 In 2015, Goffin won another two ATP titles. He also took his country to the finals in Davis Cup. Goffin didn’t make any significant victory in 2016 but won many matches. 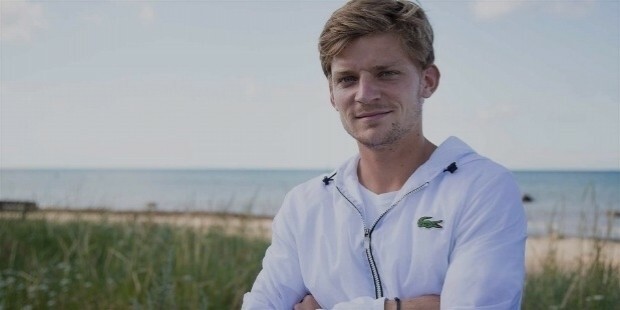 Goffin started 2017 by playing at the World Tennis Championship in Abu Dhabi. He also reached the quarterfinals at the Australian Open but couldn’t win. David Goffin’s favorite quote is ‘Impossible is nothing’. Apart from tennis, he likes to play golf. He is nicknamed as La Goff. David Goffin is dating Stephanie Tuccitto since 2012. 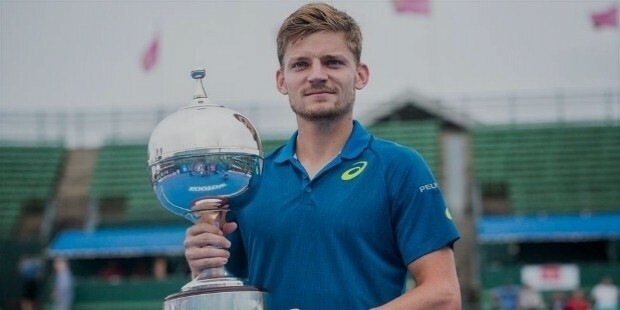 David Goffin has won 2 ATP titles in 2014 and 4 Runners-up between 2014 and 2016 in singles. He also defeated many top ranked players like Dominic Thiem, Milos Raonic and others in his overall matches. By the end of 2016, he moved up and ranked No. 11 in the world.